Transportation vector footage of a subway train. 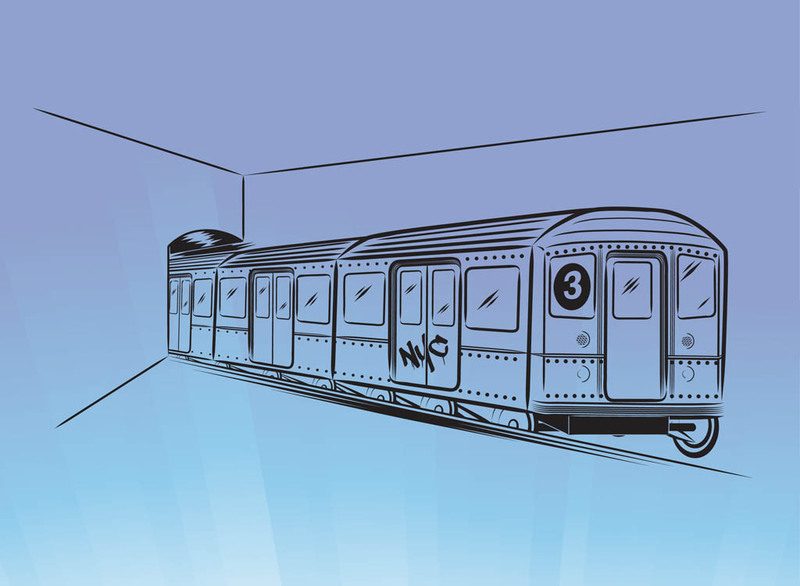 Comic book style linear graphics of the vehicle going into a tunnel. Graffiti reading “NYC” on one of the doors of the train. Free vector graphics for transport, transportation, city, urban, subway and metro visuals. Vector train for posters and wallpapers. Tags: Metro, Nyc, Subway, Transport, Travel, Tunnel, Underground.